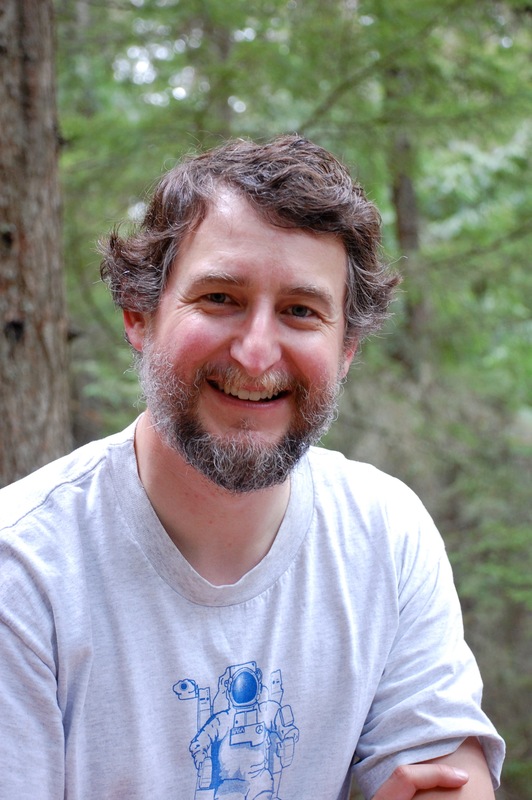 Through a NASA Supplemental Education and Public Outreach award, Scott Wiessinger has produced a 14-minute film called Rocket Scientists (click here for download options). The film explores the transition from high school to college, and shows students becoming involved in cutting edge scientific research with the MOSES rocket mission. Do you want to be a rocket scientist? The MSU news office produced a movie about the MOSES rocket [4MB] [10MB]. SNHF student Scott Wiessinger produced a movie about coronal mass ejections [10MB] [40MB], featuring Piet Martens and me. 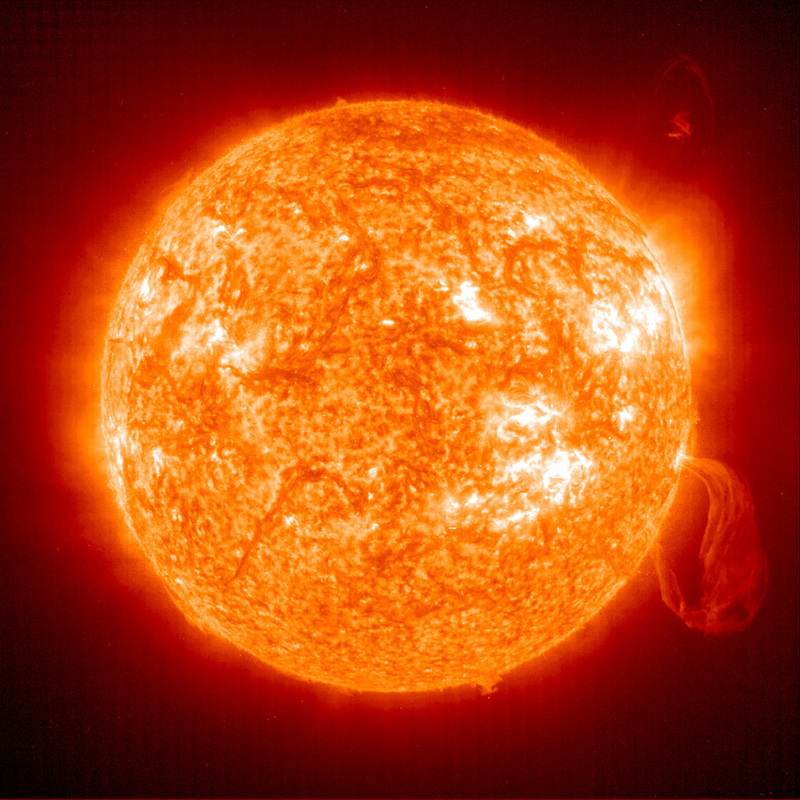 I am a physicist with a background in extreme ultraviolet (EUV) observation of the Sun. My PhD work at Stanford University was with Art Walker's MSSTA rocket payload, an array of 19 EUV/FUV telescopes. I came to Montana State University in 1996 as a postdoc on the TRACE satellite program. I joined the MSU faculty in 2001. The main focus of my current research is the Multi-Order Solar EUV Spectrograph (MOSES), an EUV instrument that is capable of simultaneous imaging and spectroscopy over a wide field of view. MOSES launched successfully on February 8, 2006 from White Sands Missile Range. I have taught Physics 101, 261, 262, 311, 317, 318, 331, 423, 566 and 567. A presentation to our REU students: Nearly everything I need to know about Observing the Sun I learned from Halliday and Resnick. Visit the Kankelborg family homepage. My church here in Bozeman. I am a member of the American Scientific Affiliation. The GeoChristian is worth reading every day. The Journey With Jesus is my favorite weekly reading. The Astronomy Picture of the Day (APOD) is what I like to see every time I open my browser. Build your own circular slide rule! Most of these are somewhat neglected. Target shooting (informally, with air guns and firearms). The outdoors: hiking, camping, cross country skiing and hunting. Lock picking. It started with a college escapade. Now it comes in handy when I lock the keys inside my car. Amateur radio. My call sign is AC7NY. The license was easy to get, and I have lots of cool ideas for projects. Now all I need is time... and a little more equipment. The background is a SOHO EIT He II 304 Å image of the Sun with a large, twirling prominence taken on February 12, 2001. Prominences are clouds of relatively cool dense plasma suspended magnetically in the Sun's hot, thin corona. Prominences can erupt and break away from the Sun's atmosphere. 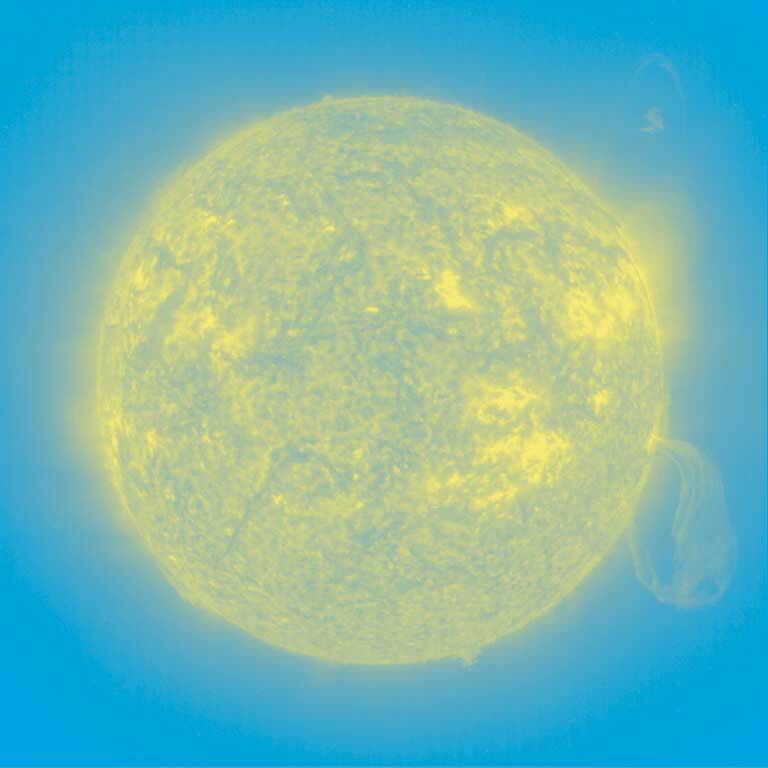 This image shows ionized helium at a temperature of about 60,000 K. Here is a more viewable image.